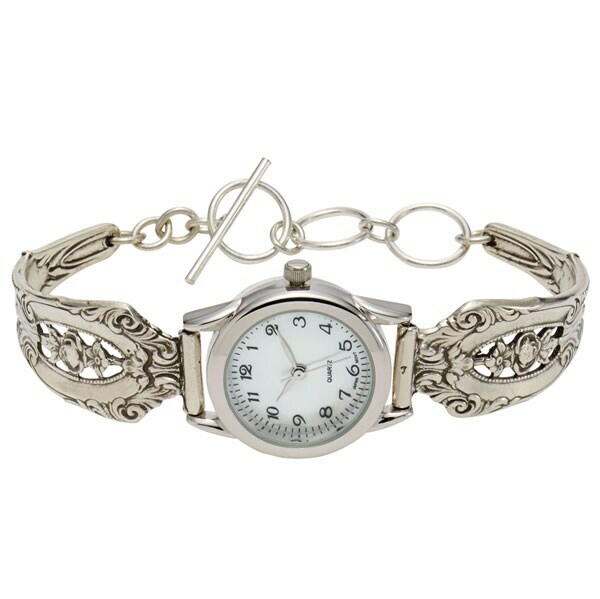 The elegant bracelet band is inspired by an antique silver pattern from the early 1900s. Watch has a silver-plated bezel and shimmering mother-of-pearl face with black numbers and sweep second hand. 5?8" wide; adjusts 6 ¼"-7 ¾" with toggle clasp. Made in USA.